Real Deal Retirement » Blog Archive » How Should I Invest If I Can’t Handle Another Downturn In The Market? 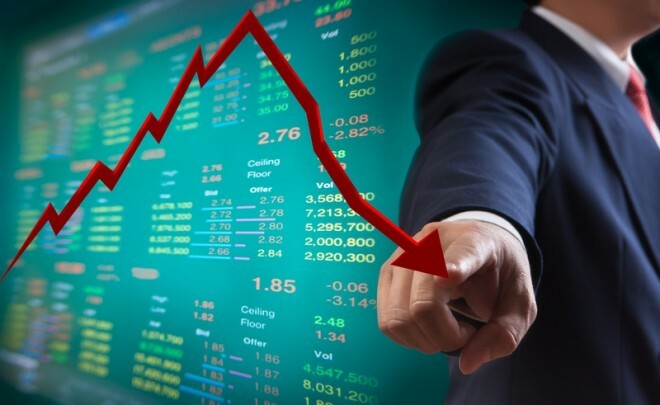 How Should I Invest If I Can’t Handle Another Downturn In The Market? I’ve always invested in stocks, but now that I’m nearing the end of my career I find the stock market way too nerve-wracking, and I just don’t feel I can handle another drop in stock prices. How I should invest? I can certainly understand why you’re apprehensive about the stock market. Even though stocks are up roughly 10% from the election through the end of last week, a number of market observers have been wondering whether that surge will last given some of the administrations policies, especially on trade. The fact that the market has been on an eight-year bull run with stock prices more than tripling since their post-financial crisis trough in March 2009 also has many investors worried that we could be in for a major setback sometime in the near future. But let’s be real. The stock market is pretty much unpredictable over the short-term. We all know that at some point stock prices are going to take a serious tumble, as they’ve done in the 20 bear markets and 26 corrections since 1929. But no one knows when the next setback will occur. So you don’t want to get so cautious that you miss out on stocks’ potential to deliver long-term gains. It’s true that since you’re nearing retirement, you need to be more careful about preserving the savings you’ve managed to accumulate during your career. But you don’t want to take too cautious an investing stance, as your savings may still have to support you through a retirement that these days could easily last 30 or more years. Well, you could elect to play it really safe and hunker down mostly in bonds and cash equivalents like money-market funds, CDs and savings accounts. But if you do that, you’re not going to earn very much in the way of returns. And while you’ll protect yourself against the risk of market downturns, you’ll leave yourself vulnerable to the risk of running out of retirement savings before you run out of time. Another option is to try to reduce risk by being nimble about the way you invest. The idea is that you stay invested in stocks when the market appears poised for big gains, and then jump out of stocks and into bonds or cash when it looks like stocks may be headed for a spill. But while that strategy sounds great, it’s a fantasy to believe that you’ll be able to consistently call the ups and downs of the market. Even market pros and seasoned observers of the financial markets can be notoriously bad at market calls. If you doubt that, just consider the many predictions of a market setback or worse that were made in the wake of Brexit and the election of Donald Trump—predictions that turned out to be way off base. So if you try to go this route—i.e., timing moves in and out of the market—you’ll be relegating yourself to a non-ending guessing game that you have very little chance of winning over the long term. And in the end, you’ll be speculating, not investing. Which brings us to the option that I think makes the most sense. Since we can’t predict with any certainty the fluctuations of the market, the best strategy is to create a diversified portfolio of stocks and bonds that can thrive when the market is on an upswing, but that also won’t get hammered too badly when the market goes into one of its periodic nosedives. Just to be clear: This strategy won’t totally immunize you from stock market volatility or prevent your retirement portfolio from getting hit with occasional temporary losses. Rather, the idea is to limit the damage to a level you can handle, and that will still allow your portfolio to recover enough so it can support you over the long run. The key to making this strategy work is finding a blend of stocks and bonds that works for you—that is, a mix that’s aggressive enough to generate returns that will allow your nest egg to grow as you near and enter retirement, but that can also provide enough downside protection so that you’re not losing sleep every time the market dips and dives. I can’t give you an exact percentage of stocks that’s right for you. For some people, investing 60% in stocks and 40% in bonds might be the right balance between risk and potential return. Others, however, may feel more comfortable giving up some gain potential for more insulation from market setbacks, and thus go with a 50% stocks-50% bonds mix, or even 40% stocks and 60% bonds. One way you can get a better idea of what ratio of stocks to bonds is right for you is to complete a risk tolerance-asset allocation questionnaire like the free version Vanguard offers online. You answer 11 questions that try to assess what size of loss you’re willing to tolerate, how long you plan to invest your money and how you would react to a big drop in stock prices, and the tool then recommends a mix of stocks and bonds for your situation. The tool will also show you how that mix and others with higher and lower percentages of stocks have performed in the past. In your zeal to avoid nerve-wracking losses, however, you don’t want to end up with a mix that’s so wimpy that it won’t generate returns high enough to build an adequate nest egg. So once you’ve settled on a mix of stocks and bonds that you feel is right for you, I recommend that you take one more step—namely, plug that mix as well as other financial information, such as the current value of your nest egg, how much you’re saving each year and when you plan to retire, into a good retirement income calculator like the one in RealDealRetirement’s Tools & Calculators section. By doing this you’ll come away with an estimate of the probability that the combination of the amount you’ve saved, your current savings and your investing strategy are likely to generate the income you’ll need to maintain an acceptable standard of living once you retire. If those chances are too low for your taste—say, less than 75% or so—then you can see how investing differently, saving more or postponing retirement might improve them. As you draw nearer to and enter retirement, you’ll probably want to repeat the process I described above, and gradually shift your mix more toward bonds. Why? For one thing most people tend to become more risk averse as they age. Just as important, though, you don’t want to be in the position of seeing the value of your nest egg decimated by a severe market downturn just as you’re on the verge of retirement, as a big loss at that critical time could force you to postpone your retirement plans or scale back your post-career standard of living. When you’re actually ready to retire, you may want to consider other strategies that can give you more peace of mind, such as devoting a portion of your nest egg to an immediate annuity or a longevity annuity for guaranteed lifetime income. But for now, I’d say you should concentrate on finding a mix of stock and bond funds that can deliver decent returns while providing enough protection to allow you to ride out the market’s inevitable ups and downs.